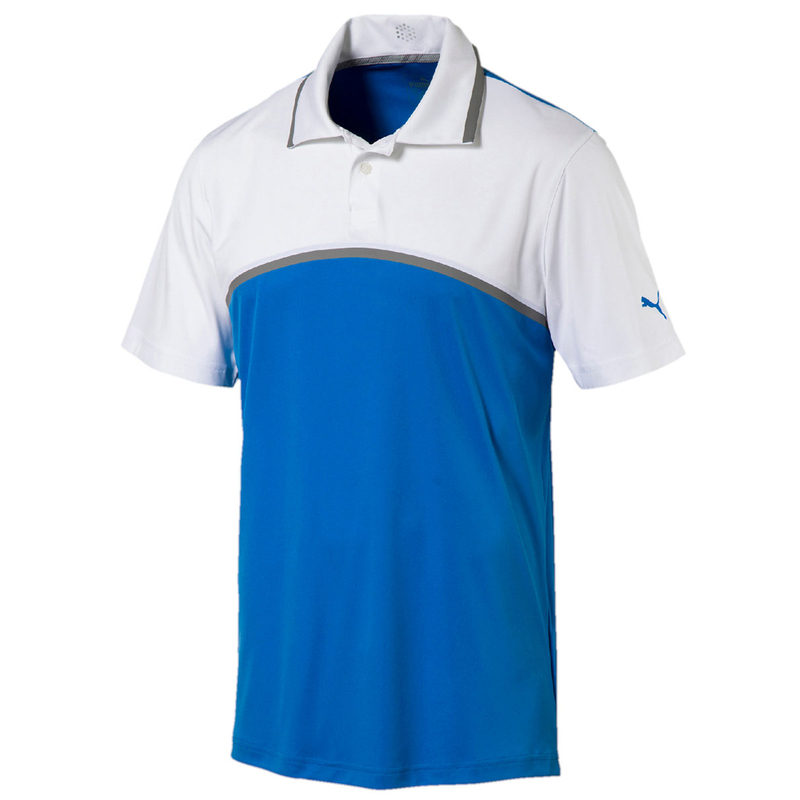 The sophisticated and high performing Colourblock polo shirt is perfect for playing golf this season. To help you perform this stretchy fabric features a dryCELL moisture wicking technology which draws moisture away from the skin, then absorbs into the fabric for less distraction and more comfort during play. 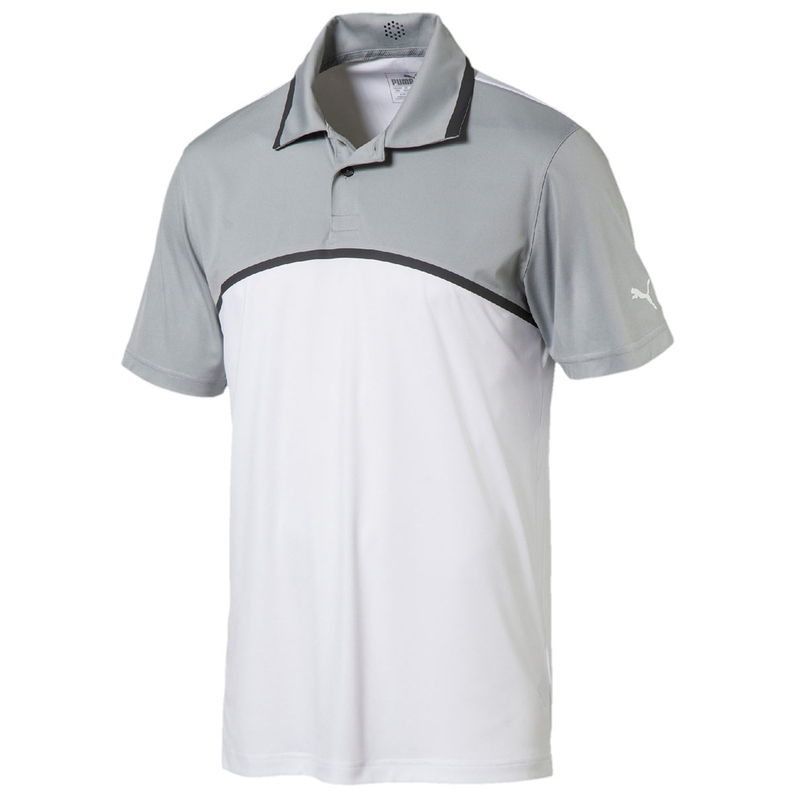 The design features a bonded colourblock front panel with two button placket and fold over collar, and is constructed with a slightly leaner cut for for the modern golf athlete. For extra performance the garment has a UV resistant finish, which provides a high sun protection rating of +50 UPF. 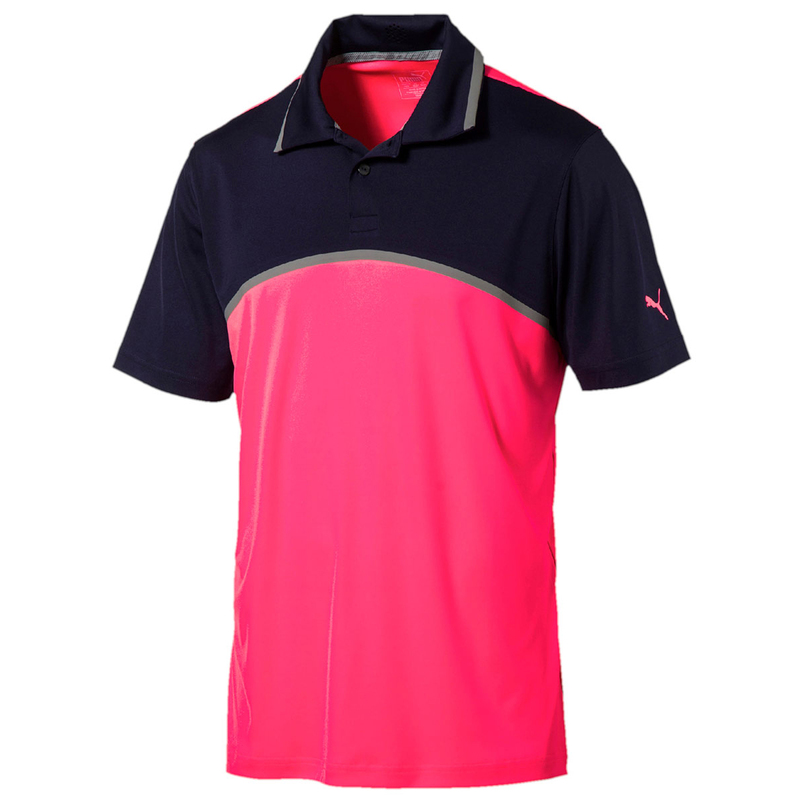 Finer detailing includes PUMA log`s on the left sleeve, inside back collar and on the rear.